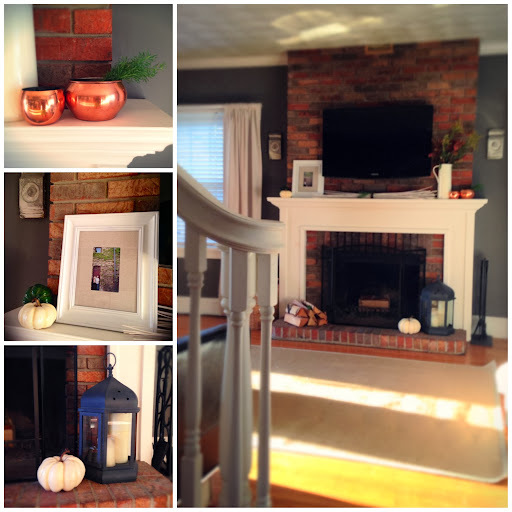 I finished doing some fall decorating on our mantle last night and I'm excited to share it with you! I followed some of the inspiration in the photos from my last post and kept it pretty clean, simple, and not too theme-y. Here's a look! My favorite part of the decor is the floral arrangement I DIY'ed using some simple greenery and foliage from our own yard. It was so easy and it was FREE! Maybe that's the best part? I just grabbed pieces in dark red, green and yellow tones and started arranging them in the pitcher to sort of look like the floral arrangement from my inspiration board (but greenery insteadof all florals). I just love how it turned out and it was fun to make! For the rest of the look, I stuck with white mainly for color and layered in that touch of copper I wanted thanks to the two little votive holders I found at Goodwill for just $2.00! I had the frame, lantern, and white vase filler branches already so it came together pretty easily! 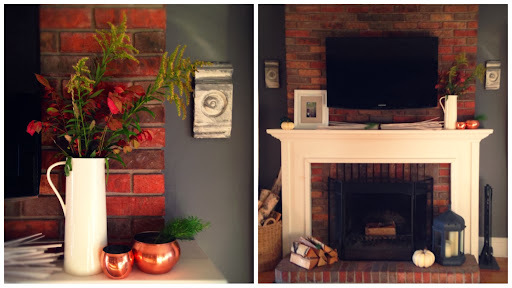 What do you think of the fall mantle look? 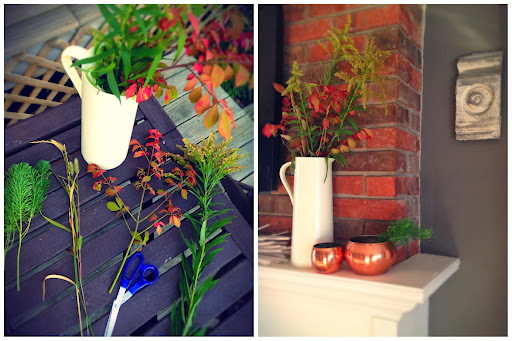 Are you liking the DIY floral arrangement? 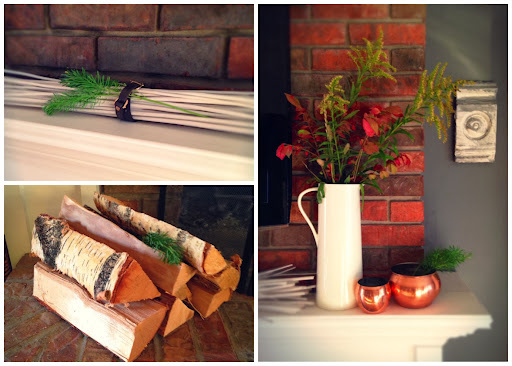 What's on your mantle this fall?